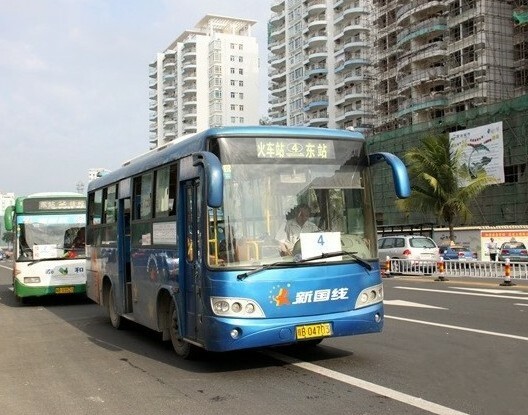 Four bus routes going through Yacheng Area will be completed and put into service early next year, said the Sanya relevant department. The launch of four bus routes service is part of the city’s livelihood project to uplift the public transport facilities in remote areas. The new routes are services from Old Yacheng City Gate to Nanshan Tourism Zone, Yacheng City Gate to Dalong Reservoir, Yacheng Township Government to Meilan Village and Nanbin Farmland to Gangmen Village. The official date for its opening has not been set yet, but the relevant department has begun purchasing buses and said it would try to be as early as possible. Besides, the authority will further upgrade the road condition in Yacheng Area to improve the urban-rural transport system.